This mercury toxicity protocol discussion may be very similar to a conversation you and I might have if you are suffering heavy metal poisoning. Here, you can find both information and inspiration. John from New Zealand clearly is determined to regain his vitality and is asking all the right questions. In addition, he is already consistently pro-active in his approach to this very challenging health issue. NOTE: This mercury toxicity protocol discussion is purely for educational purposes, not intended as medical advice, prescription or diagnosis. PHOTO BELOW: Mercury toxicity protocol formulas. my story is very similar to the one one your website. I'm really hurting and struggling. Tried detox's my self but have made things worse. The only thing i haven't done is heavy metal detox properly, the detoxamin looks great but my liver is very congested, i don't know what role it plays when you add detoxamin. I'm on beta-blockers and anti-depressants just to stay half alive. Getting help in New Zealand has been fruitless. A basic protocol would be great if you think you can help. I'm 36 and feeling 106. (Just found your new message with correct email). You are 36 - too young to be feeling so old when you want to be enjoying life! I'm terribly sorry to hear what you are going through. I haven't forgotten what it was like for me! There is hope if a basket case like me was able to save her life! Mercury interferes big-time with neurotransmitter function, hence many who are mercury toxic experience mood disorders, depression and anxiety, unexplained despair or anger and some end up taking meds. I have done a lot of research on the effects of so-called anti-depressants - they alter brain chemistry in a way that can make a person dependent on them and not able to function without them. Heart palpitations and other frightening symptoms are common in mercury toxicity because mercury interferes with digestion. Absorption of nutrients like magnesium and other vitamins and minerals that support muscle contraction, relaxation and electrolyte balance needed for normal heart rhythm - is impaired by mercury toxicity. First, toxins are either water soluble or fat soluble. 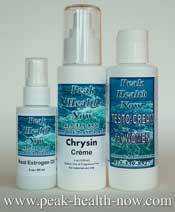 Water soluble toxins are filtered and eliminated through the kidneys. Fat soluble toxins are filtered by the liver and carried into the small intestine by the bile. **The intestines rather than kidneys are the preferred route of elimination. Because if the delicate nephrons of the kidney are damaged, it is VERY difficult to restore kidney function. HOWEVER, the lining of the digestive tract replaces itself avery few days! Taking toxic metals out through the kidneys is a recipe for disaster! That is another reason the DMPS IV's were so devastating for me (if you remember, I related that I got edema (water collecting) in my legs from that disaster). Thankfully, my kidneys are fine and I was able to recover liver function. If the liver is compromised, you can release all the toxins you want - but they CAN'T GET OUT! What can happen is they are diverted to be eliminated through the kidneys- bad idea! You are wise to question using the Detoxamin with a congested liver. Detoxamin worked so well for me partly because I had said goodbye to doctors a few years before, and have endeavored to live a very healthy lifestyle for many years before. Additionally, the Magnesium Di-Potassium base helps balance the electrolyte minerals to support heart rhythm. If it were me, I would take the mercury detox protocol slowly, concentrating on supporting the organs of elimination with the Glytamins and using Xeneplex to get bile moving faster. Xeneplex powers up the body's glutathione s-transferase system, helping to eliminate plastics, chemicals, molds and other toxins to lighten the overall toxic burden and make metal detox easier. Another idea is that once the liver is working better, Detoxamin could be incorporated among the other suppositories to get some larger amounts of mercury out. 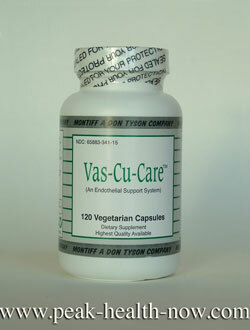 Most importantly, all through detox the liver, kidneys and other organs MUST have support. Severe detox symptoms indicate it is happening too fast for the body to process, and one must slow down the detox (cut protocol in half and see what happens). Staying in touch with body feeling is key in determining every moment what works and what doesn't. Healthy forms of fiber such as dark greens, organic apples, celery etc. help to bind metals in the gut and carry them out. Lemon water or plain water is good to keep kidneys flushed during detox. Around 6 glasses per day is sufficient - don't overdo or can carry too many minerals out of the body. Same with fiber - moderately generous - not stuffing yourself with it! A 'Sleeper' Supplement in the Mercury Toxicity Protocol Arsenal! One of the WORST side effects resulting from my severe mercury toxicity was secondary infections due to a crashed immune system. Transfer Point Beta 1,3-D Glucan - hands-down BEST beta glucan on the market - research proven by prestigious institutions and experience-proven by yours truly. This product has NO contraindications and in this case more IS better! It has been proven in research by major institutions to increase the number, size, and mobility of white blood cells. This can ward off the secondary viral, bacterial and fungal infections so common in metal toxicity. My experience using Transfer Point Beta Glucan: gradual (over 6 - 8 weeks) relief of joint and other pain from the infections, definitely more energy, better sleep, ease of digestion and mental clarity among other benefits. Unless, of course you give me **explicit permission** to use your real name (Love when people do, but totally respect request of anonymity). I also will never reveal your info to ANYONE else (except to let company know who and where to send to when placing supplement orders)!! Hi Ellen, thanks so much for all the advice and information. 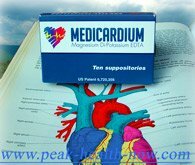 I had a good look over the website and decided on medicardium too as my nervous system is always on full alert. Sometimes I have to take sedatives to get through a weekend with friends, and that's on top of beta blockers and anti-depressants. Although that only happened when a detox when wrong and had an acute poisoning situation.I have started coffee enema's and each time about 10 -15 green soft stones have come out which i was happy with. Hair and urine test have indicated higher then average mercury levels *without provocation. * My fillings are all out. (NOTE: Without provocation means not using an agent such as DMPS IV or DMSA to mobilize mercury or other heavy metals out of storage in the tissues. Dr. Dietrich Klinghardt, international expert on mercury detoxification, has commented that testing without provocation is more accurate than using a mobilizing agent). I'm not a rich man but with continuing the coffee enemas, instead of xeneplex, do you think I could start on only the Glytamins and Medicardium? Would i take the Glytamins for the same amount of time with Medicardium, ie months? Reply: It's a pleasure to assist you - you clearly are proactive with your health - that is inspiring to me! I think you will love the Medicardium! Very stressed out clients have found it quite relaxing! Yes, coffee enemas are FABULOUS; I use them and while the Xeneplex is an excellent formula, don't use much of it because the coffee enemas are a great detox. Make sure of course that the coffee is an organic light roast - the lighter, the better for beneficial compounds. Glad to hear your fillings are out! If hair and urine read high mercury without provocation, mercury detox is right. If it were me, I would NEVER do a DMPS IV anyway (that's one method of provocation). Yes, along with the coffee enemas, I would start with 3 nights of Glytamins, then alternate Glytamins with the Medicardium, with one or two days per week a rest day for the body. Also, since I am adding our discussion to my site for my readers, do let me know what your preference is as far as anonymity or real name. I absolutely will not reveal your email in either case! John writes: Hi Ellen, I've never had so much support early on and it's got me really excited about moving forward and getting better. It seems to good to be true as I've had a lot of let downs but i will give it a go and see what happens. Shall I contact the drug makers to see if the medications I'm on will affect these new medications? I'm also a little concerned about some bad reaction with the EDTA and Glytamins as I know little about them and my physiology is in bad shape. What do you think is a safe amount of Coffee enemas per week? I just want to get all these stones out! I'll have another good look over the website and see if I have missed anything then order the products. Re: Discussions - If you could leave out my Surname and email for the moment that would be appreciated. Can I pay you for your time spent so far? Yes, I will just use your first name and country if that's OK. I don't have need to ever reveal email - I keep that private always. Thanks! Coffee enemas and any other protocol is a very individual matter. As I always tell my coaching clients, your own body sense is the best guide. I have done them 5 or more days per week no problem. Terminal cancer patients at the Gerson clinic receive coffee enema every 3 - 4 hours because tumors breaking down are so toxic as they are breaking down, the patient could die overnight if they weren't woken up for the therapy. Some people find a few times a week works. The only recorded death from coffee enema that I know of was a woman who did 12 in one night and then one per hour the next day - totally crazy. It is important to be taking a high quality professional grade multi vitamin/mineral and full-spectrum amino acid supplement to balance the vitamins and minerals. While EDTA always chelates the heaviest, toxic metals first, it is a good idea to take some oral supplements. I have my two favorite ones at the bottom of my password-protected page. 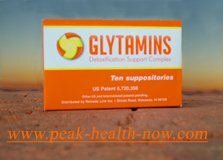 Glytamins is a very gentle, balanced, supportive supplement. One of my clients, a woman who had just had a gallstone attack, found she slept better than she had in years from taking the Glytamins. Another client of mine has a very delicate situation because she nearly died from toxic shock syndrome and has mercury poisoning on top of that. She was very skeptical, yet now is very happy with the results of using the Medicardium. It's up to you to decide about checking with the drug companies. Pharmacists are a good resource too, and usually more open minded. Thank you for offering to pay for my time - since I was not going to ask for payment, I will let you decide the amount. Just let me know and I will send a PayPal request. I look forward to hearing how you like the Medicardium and Glytamins. John writes: Hi Ellen, thanks for the reply. Using John and New Zealand is fine. I hope my story turns out well. I'm not sure how much time you have spent on emails, maybe half an hour? Maybe half of your hourly rate would be okay,what is it? Or maybe we wait to see how I go, I've so many supplements and things go wrong I can't say I'm full of confidence. I was thinking of getting 1 pack of each just to see how I go in terms of reactions. You'll see my attached photo to understand my scepticism. I'll probably send them to my sister in New Jersey as $US50 is a bit out my league. She can send them on. I'll aim to order them in the morning after one more long think. Thanks for permission, I will only use the info you indicated. Since you asked, I spent more than an hour and counting, and my regular consulting fee is $150.00 per hour. But, since we had no prior arrangement for you to pay, I leave it up to you to do what you feel moved to do. (John sends me a photo of him sitting amongst a pile of all the supplements that didn't help). My response: Aiy! The photo says it all! Do I see a Natren bottle, and maybe some Solgar? Solgar was a great company 35 years ago, but got sold and now it's junk. Natren is the best probiotic I ever used out of dozens that did nothing - it 'knocked my socks off' big time and proceeded to do that for virtually every client that tried it. Big problem with sites selling dirt cheap, outdated products from great companies - making a bad reputation for a great product, wasting peoples' hard-earned money AND prolonging the suffering of people who could benefit greatly if the product was potent. Few things make me madder than supplement scams! Yes, shipping is free in continental US. Good idea to try just one package of each and take it slow. Sure, we can ship the package to your sister in NJ. I wrote to another client from Japan who also had a relative ship to them and asked them what postal shipping method they used to avoid having the products irradiated. Will pass on that info as soon as I find out. (Spencer uses FedEx to be sure avoid irradiating the products - he's a stickler for optimizing everything so products are most effective). From your photo, looks like you have good basic constitutional vigor that can overthrow this 'dark night of the soul' with your persistence and determination! PHOTO ABOVE: Glytamins supports organs of elimination. When taking the Medicardium, what supplements do you recommend? I see it says Calcium on the box but I also read "any multi mineral/vitamin spplement" would do. I've started the Glytamins, cutting them in half and taking at night. With Medicardium, a moderate amount of calcium - ideally calcium gluconate, or calcium citrate which is easier to find. 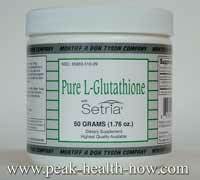 Calcium gluconate is the easiest form of calcium to absorb - that's what I mainly use. I take only 100 mg or so in the routine described below. For a medium sized person maybe twice that much. Most people take too much calcium. Between 8 - 12 hours after inserting a Medicardium is the ideal time to take the calcium because the body thinks it's in calcium deficit and will be most likely to put that calcium where it belongs - in bones and teeth. It is helpful to take the calcium with a little cheese or other food that contains co-factors to help in calcium absorption. In addition, a multi-vitamin/mineral and a full-spectrum amino acid supplement. Too long to explain, but I learned from an international expert that both are needed - otherwise imbalance results. The other question is quality - most supplements aren't worth the bottles they're packed in. I can do a custom order of the best professional brands if you wish - probably approx $100.00 - shipping free if I ship it to your sister. Let me know, and also how it goes with the Medicardium and Glytamins. John writes: Thanks Ellen, I tried a half dose at 11.30am to see what would happen. It didn't go down well and it's my fault really. I wasn't feeling strong and tried it out of desperation as sick of feeling bad. I had a tough 12 hours with sweats, nausea, headache, ringing ears,pounding heart and awful sleep. Next time i try it will be at night and I'll be feeling stronger. I'm rushing things. I've done about 12 coffee enemas and had around 300 soft stones in total and are getting about 6-10 every 4 days now. My bile and guts are gurgling for the first time in years so something's happening there. The coffee enemas are going well so i will just stick to that for the mean time and give the Medicardium another few weeks. The Glytamins seems to be ok, i've started slow on those too. I'm thinking of using Thorne Basic Nutrients V as my support, it's almost identical to Detoxamin's health genesis product and it's local. I don't expect a reply and your time unless there is something glaringly obvious where i went wrong. I'll contact you in another few weeks for the second attempt..
She was terribly sensitive initially - every time she took a Medicardium, she had both emotional and physical detox symptoms. You might take heart that she now loves the Medicardium AND feels considerably better, though still detoxing, (it typically is a long process). Like her, you have a good sense of how to modify your self-care protocol to suit your ability to detox. Thorne is an excellent company! See if they have a full spectrum amino acids supplement. It is important to balance vitamin/minerals and amino acids. Just taking one or the other will create an imbalance over time. John writes: Hi Ellen, Ok, so I'm not way off course, that's good. I'll try a quarter next time on a "stronger night". I was pretty surprised to get those symptoms but if that's normal in some cases then I'll keep going. Are you sure I'm not just stirring toxins up and making the situation worse? I can't advise on what is happening with toxins - don't know and it's not my place to do that as I am not an MD. If it were me, I'd stick with slow Glytamins protocol and coffee enemas as I would see detox reaction as my liver/gallbladder and bowel not ready to take on much burden of elimination. If I had gallstones coming out, I'd concentrate on that until I felt ready for next step, and try that very small amount Medicardium as a little test until it felt OK, or even good. Another suggestion: A top-notch professional brand of Chlorella also started very gradually, is another idea. 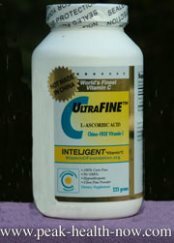 DON'T buy health store brand - I made that mistake year or two ago and felt worse and worse until I stopped it, then better in a day or two. Since chlorella binds heavy metals, if it is not grown in a closely managed, toxic free environment, it can bring toxic metals INTO the body. However, chlorella MUST be grown outdoors; a high quality product can ONLY be made from chlorella that gets plenty of sun. Depending on past lifestyle, etc., detox is different for each individual. Hi Ellen, thanks for the Christmas card. I'm just checking in to let you know what's happening. I haven't been up to trying another Medicardium but have continued with the coffee enemas. Digestion has certainly improved and constipation is a thing of the past, my breath is better and people say I am looking "well." I'm feeling slightly better but I know I have to keep doing these for maintenance while I continue to detox. The memory of the rough ride with only half a medicardium is still there so more preparation is needed. I've gone into detail because there seems to be a bit of confusion and scepticism with the coffee enema. I hope this helps anyone else trying them. Even if no stones come out then it is still helping. Ellen, i pinched the attached picture off the net for private use, it made sense where all these balls or "billary sludge" was coming from. Over 500 stones had to come from somewhere! I'm really glad to hear you are doing better! My own experience with coffee enema is similar in that I got more semi-calcified green stones coming out with coffee enema than any other method including some 'industrial-strength' olive oil flushes! Spencer Feldman (scientist who developed Glytamins, Medicardium, etc.) says that gallstones are VERY full of toxins! (Actually they probably should technically be called 'liver stones' since they really are formed in the liver). The picture you sent shows how the stones are formed in the biliary tree of the liver (the ducts that, like tributaries, lead into the larger ducts and eventually the common bile duct). Coffee enemas are a fantastic therapy that can contribute to virtually anyone's self-care program! I still do them - and use them as meditation/siesta time. We are in good company with Dr. Nicholas Gonzalez, who does them every day, as do all the people on staff at his New York City clinic. As far as the Medicardium - yes, wise to take it slow. Having that many stones come out from only 12 coffee enemas over a 5 week period certainly gives credence to the idea that your body was very heavily burdened with toxins! With that many stones, the liver/gallbladder would likely have had a very hard time getting mercury and other toxic metals out! Whenever you get a chance, I'd love to hear any feedback on how the Glytamins suppositories are working out for you. Thanks for all your comments about the coffee enema results. I will add this to your page so others can benefit, too.